Welcome to Rockaway Dental Group, where kindness, expertise, and beautiful smiles are delivered by Dr. Naushir Lalani and his compassionate team. We offer free consultations to begin long-lasting relationships, hoping to provide many years of optimal oral health care to patients. We gently treat people of all ages with a wide spectrum of services. From routine exams and cleanings to denture and dental implant restorations, Dr. Lalani has vast experience in all facets of dentistry. He uses the latest technology so patients receive the highest quality of dental care available. We strive to make dental visits as comfortable and accommodating as possible. With meticulously cleaned operatories and wide screen televisions, Rockaway Dental Group meets the unique needs of every patient with customized care that highlights the natural beauty found in their smiles. Dr. Lalani uses digital x-rays for highly accurate images that do not expose patients to harmful levels of radiation. Precise impressions of teeth are taken with an iTero® scanner that assists Dr. Lalani in the strategic placement of dental implants and in the accurate design of beautiful restorative crowns. Conveniently located near access to public transportation, Rockaway Dental Group also serves people in Bayswater, Edgemere, Arverne, Inwood, and Atlantic Beach. Our team accepts credit card and dental insurance from a wide variety of sources. For those without dental insurance, we also provide Care Credit, which does not require a credit check and offers 0% interest. Contact Rockaway Dental Group today for healthy, beautiful smiles and expert and gentle dental services. 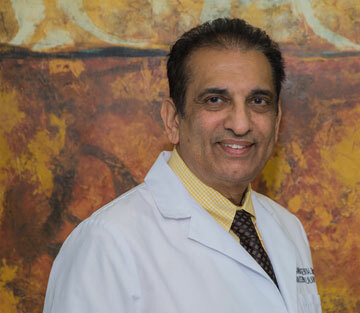 Dr. Naushir Lalani and his friendly team hope to see you soon! Prevention starts at home with good oral hygiene and a balanced diet and we continue it in the dental office. Thanks to modern dentistry, we are able to improve our teeth and smiles with quick, painless and surprisingly affordable treatments. Should your teeth ever require a restorative treatment, you can rest assured knowing we will always discuss with you the available options, and recommend the most comfortable and least invasive treatment. My daughter & myself has been coming to office for quite a few years now; so I'm quite familiar with the dentist as well as a majority of the staff. I'm very pleased with the service my family recieve & would recommend anyone looking for a dentist to come to this office. I have been going here for years and I wouldn't go anywhere else. Staff is very friendly, I'd recommend anyone to this facility. It is very clean and well organized. I have been a patient of Dr. Lalani for almost 3 decades...this should say a lot! Best dentist in queens.. I been going to him since my early twenties. Now my son is going also my friends and family too. It is indeed a great honor and pleasure to let you know how happy I am whenever I visit your office. You are indeed a great doctor; your bedside manner is excellent, to my high expectation. This makes me feel very proud and welcome. I must also let you know that your staff is very respectful and courteous and friendly. The office feels very pleasant and spotlessly clean. I would like you to know also that my experience with your staff is always a blessed experience. Samree is the best; Dr. Pinkus is great; Yasmin is wonderful and Jose is very good. All of your receptionists are very respectful and courteous. It's always a pleasure here. May the peace and blessing of god be with you and your great staff for your future success. I will forever carry gratitude for the kindness and courtesy you all have extended to me. 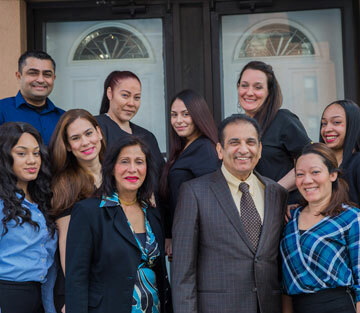 Far Rockaway dentist, Dr. Lalani is a dental professional dedicated to general, family, and cosmetic dentistry with services including dental exams, dental makeovers, teeth whitening, veneers, crowns, x-rays, cleanings, and more. Please call our dentist in Far Rockaway, NY to schedule your next appointment.